Got 2 on the way! One for me and one for my wife! All three cases probably have the same mAh battery capacity so no need for them to price gauge. Mine are due for delivery on Friday! XS and XS Max each use 1369 mAH battery. Picked up one for my iPhone X after Rene’s article about how it’ll work with it. My wife needs this for her XS, will have to pick one up. I set mine on a charger often but she tends not to -- glad they finally offered one. I’m surprised that it’s not a high enough capacity to get a full charge from empty. I’m using it right now on my X. Call quality is great. No pop up notification. Camera cut out is “slightly” bigger. Not really noticeable. I love it. It’s way easier to slide XS in and out of the case than it was when I had the 6S Smart Battery Case. It works just as I remember and now I’m not concerned with returning to my desk to plug my XS in and solely relying on my S4 cellular connection to stay In touch at work late in the afternoon when I have to run around my building. Also, Way better than carrying my Anker powerbank around. Now my power bank stays in my backpack and when my Smart Battery Case runs out of juice it’ll recharge in my backpack when I’m out and about or I’ll use my USB-C charger to fast charge it. Apple claims it is not supposed to work like a “trickle” charger. They are meant to work independently. Meaning the case isn’t meant to charge the phone. You are supposed to charge both to 100% and connect them. Once your phone hits zero the battery case starts working. It shouldn’t charge your iPhone insomuch as it should provide an additional 1300+mAh when your phone hits zero. Now if your phone is on say 70% and you slide the case on, then it will charge your phone up to 100% and lose case charge. It’s up to the individual how they choose to use it though based on how they typically charge and wait to recharge. mumfoau, libra89 and ThePinkChameleon like this. You are supposed to charge both to 100% and connect them. Once your phone hits zero the battery case starts working. It shouldn’t charge your iPhone insomuch as it should provide an additional 1300+mAh when your phone hits zero. Mine's working the exact opposite way. The case drains first, as it keeps the phone at 100 percent. carrickfergus, parker5011 and tippmann15 like this. The way it's designed to work. BreakingKayfabe, sangs, bluesqueen23 and 1 others like this. That's what I thought, but didn't want to come across as a ****. I’m sorry if it came off that way. I didn’t mean it to be sarcastic. There seemed to be a lot of confusion and misinformation in this thread and just wanted to make sure the correct charging information (per Apple) got out. sangs and Annie_8plus like this. carrickfergus, Easycure1974 and wenrob like this. Case goes first, keeping the phone at 100%, then moves to the phone. 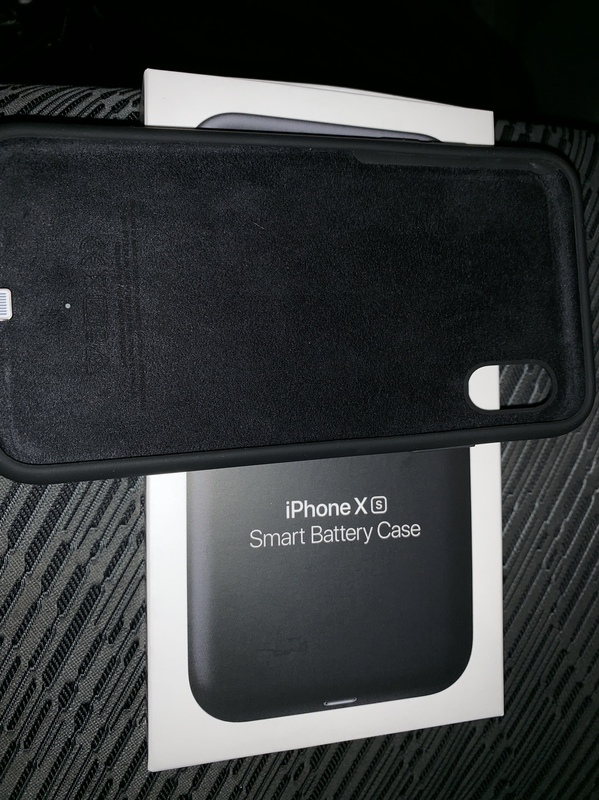 I basically consider the case as an extension of the already exisiting battery. They work hand-in-hand.